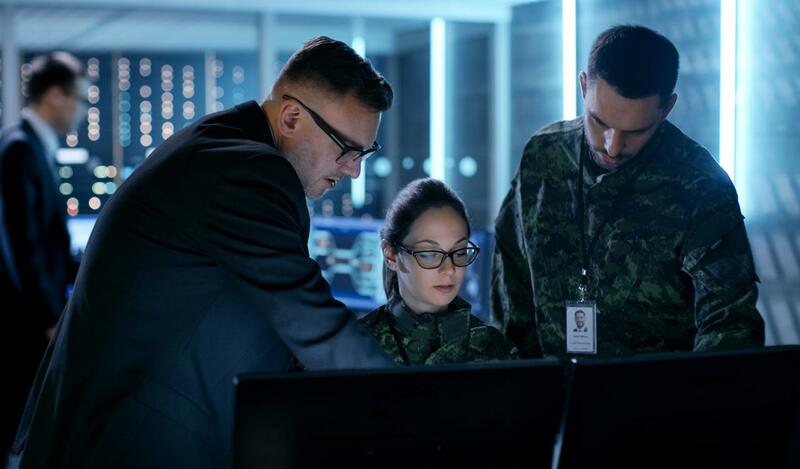 Our goal is to help the U.S. sustain technical superiority over foreign and domestic adversaries, operating across all levels of scale, from terrorism and transnational threats to hybrid warfare and peer-to-peer conflicts. We support all warfighting domains, with an emphasis on integrated solutions that span multiple domains. Our researchers work to rapidly deliver innovative answers to government problems, both through internal development efforts and external partnerships with academia, industry, and gov­ernment labs.